333. On day three, three Bangalore teams—Indiranagar Basketball Club (IBBC), Jayanagar Sports Club (JSC) and Sports Hostel, looked set to qualify for the knockout stages with their third straight win in the league stages. Sports Hostel’s match against Bharath Sports Union had to be carried over to the next day due to rain interruption late in the second half. SH was comfortably in the lead and will look to complete the formalities of its win later today. IBBC’s performance against Southern Blues was commendable. They dominated the boards on both ends of the floor. IBBC’s perimeter players patiently kept feeding their bigs, who in turn, showed admirable positioning and footwork skills to score easily in the paint. Southern Blues’ outside shooting which had kept them in the hunt against their previous opponents JSC, deserted them today. It will be interesting to see how well IBBC’s forwards perform against JSC, when the two best teams in Zone A go head to head later this afternoon. 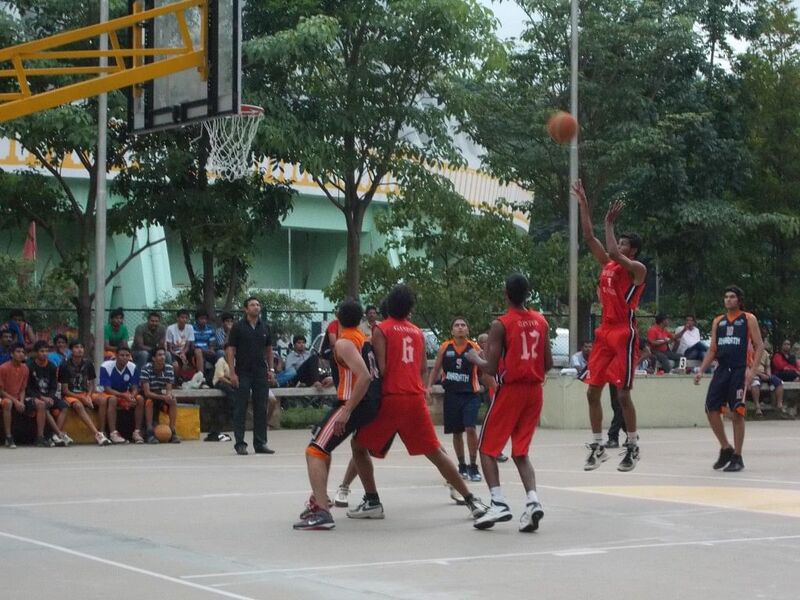 Indiranagar Basketball Club (IBBC) 41 (Karan 14, Nityn 11) bt Southern Blues 31 (Arun 8) HT 22-20. VBC, Mandya 43 (Hemanth 15) bt SAI, Dharwad 32 (Akshay 12) HT 33-18. Jayanagar Sports Club 67 (Preetham, 16 Varun 15) bt Kanaka, Kolar 43 (Jagadish 10) HT 32-27. Rising Star, Mysore 52 (Supradeep 24, Naveen 13) bt National Games Village BC 42 (Issac 19) HT 18-18. Sports Hostel, Bangalore lead against Bharath Sports Union, Malleswaram (Match postponed to 7-7-2013 due to rain interruption) Note: Official confirmation of match status/resumption awaited from the organisors.